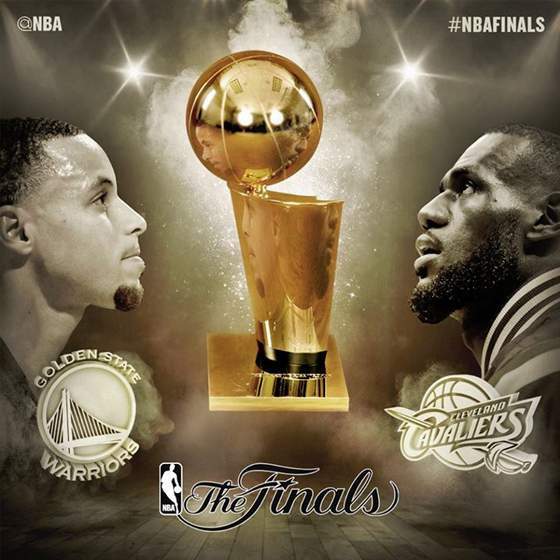 Golden State Warriors vs. Cleveland Cavaliers: Philippine TV Schedule (BTV and ABS-CBN) - 2015 NBA Finals - Balita Boss! The Golden State Warriors will face the Cleveland Cavaliers in a best-of-7 series for 2016 NBA Finals. Click the above link to view the Cleveland Cavaliers vs. Golden State Warriors - 2016 NBA Finals telecast schedule on Philippine TV (ABS-CBN channel 2, ABS-CBN Sports+Action channel 23 and BTV), game results, scores, highlights and TV info. LeBron James and Cleveland Cavaliers are back in the NBA Finals! And just like that, King James will be playing in his fifth consecutive NBA Finals. The Cavaliers swept the Atlanta Hawks in four games of the Eastern Conference Finals to advance to the NBA Finals for the first time since 2007. Led by MVP Stephen Curry, the Golden State Warriors will be playing in their first NBA Finals in 40 years (1975) after beating the Houston Rockets in Game 5 of the Western Conference Finals.